This weekend Carlos Verandi got baptized! 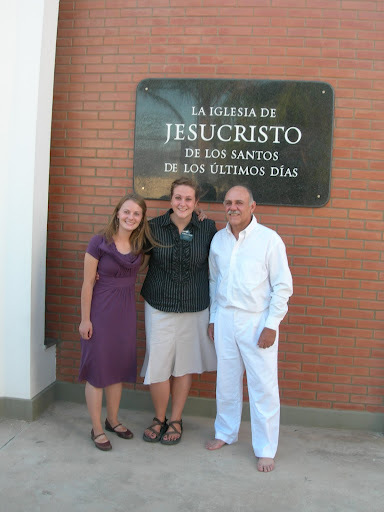 -Nildo Ledesma, who carries a machete with him wherever he drives, “just in case,” and who has been sharing the gospel with Carlos for the duration of their ten-year friendship, and who is overjoyed that Carlos finally got baptized. These people are my family in Argentina! Another sweet and funny moment this week happened with César and Natalia, who we´ve been working with for months. 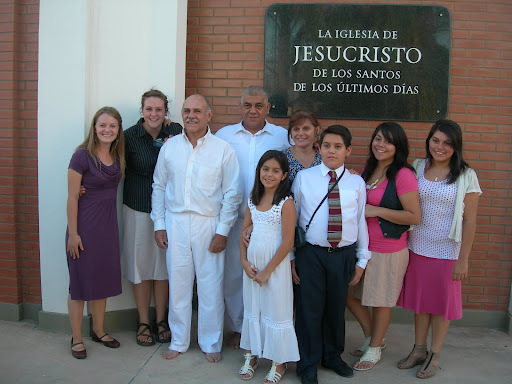 Natalia was baptized a year ago; César is the father of her three-year-old son, Lorenzo. He needs to get baptized and they need to get married, but they´re working through a lot of relationship problems. Anyway, at our last charla with both of them, we talked to César about the importance of the priesthood: how it was restored through the prophet Joseph Smith, how he could be baptized by that authority, and how he could receive that power to bless his own family. But the charla wasn´t going anywhere. César kept arguing with us, complaining about the hypocrisy of the members and the insincere manner in which they bore their testimonies, etc. Our efforts to commit him to be baptized were going nowhere. We were so tickled. I´m pretty sure he wants it to be kept secret from Natalia ten percent to give her a pleasant surprise and ninety percent just to make things difficult.